Please complete our customer satisfaction survey. 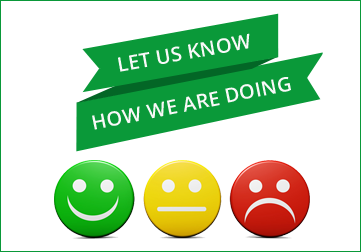 We would like to have your input on areas that our team exceeded your expectations or where they may have fallen short of your expectations. We are committed to customer satisfaction, we need your help by completing this survey to know what areas may need improvement.